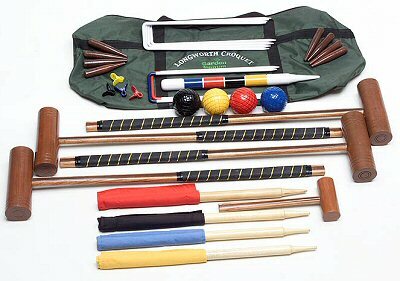 An excellent value, full-sized 4 player croquet set, with all the equipment necessary for a good game in the garden. This is probably the cheapest full-sized set available. Includes 4 full-sized natural hardwood mallets with leather-bound handles, Full-size wooden 12 oz balls, steel hoops, hoop mallet, corner flags and pegs, plastic clips, hardwood winning post and rules. Packed in a zip-fastening nylon bag with shoulder strap for portability. 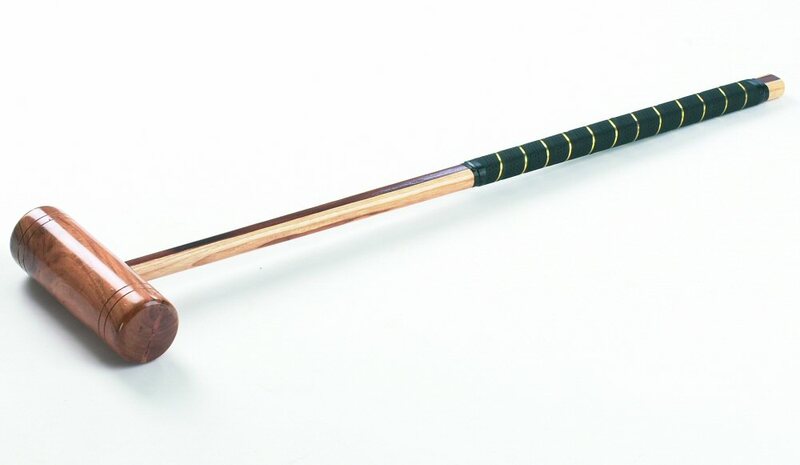 The Longworth 4-Player Croquet Set is perfect for parties or family gatherings. Comprising 4 full sized adult mallets and 6 balls, this set will allow everyone to have a go. For many years there were two types of croquet set - good quality sets at a very high price, and poor quality sets at a lower price. 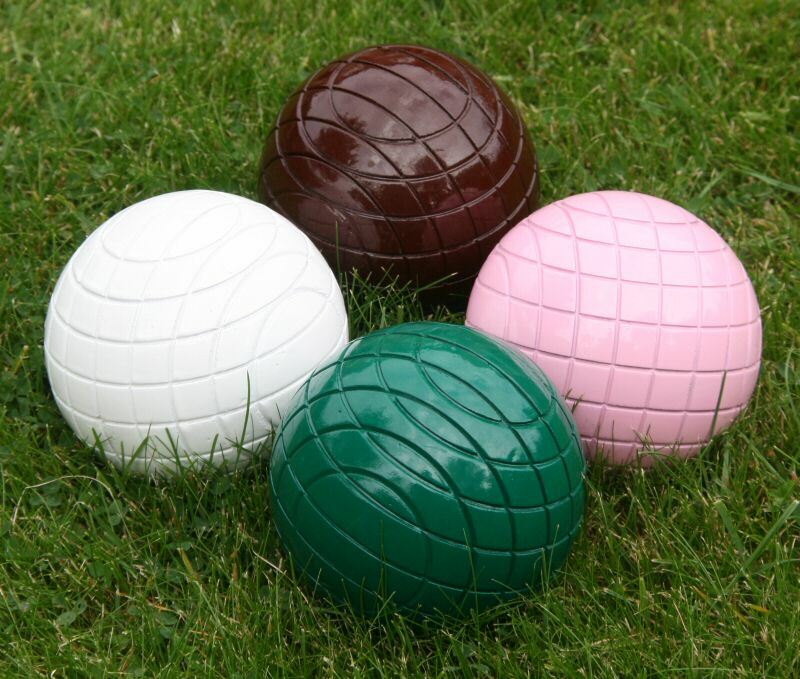 Thankfully, this situation is changing as some really quite impressive sets at very good prices are becoming increasingly available, broadening the appeal of croquet. All in all, our Longworth Set really is a very good buy.